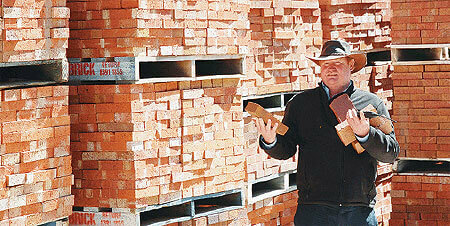 Littlehampton Bricks is offering heavily reduced prices on our paving range during the month of February. “If you have thought about turning that old path, patio or driveway area into a paved showpiece at an affordable price, now is a great time to do it,” says Bill Leggat, Sales Manager. Since 1892, Littlehampton Bricks has followed a traditional manufacturing process, creating a selection of hand-made pavers that will add character and charm to any paving project, large or small. Our cobblestone pavers are a wonderful example of this and at 62mm thick, they are ideal for both walkways and driveways. For further information about our sale prices, please visit the factory or call us on 8391 1855.